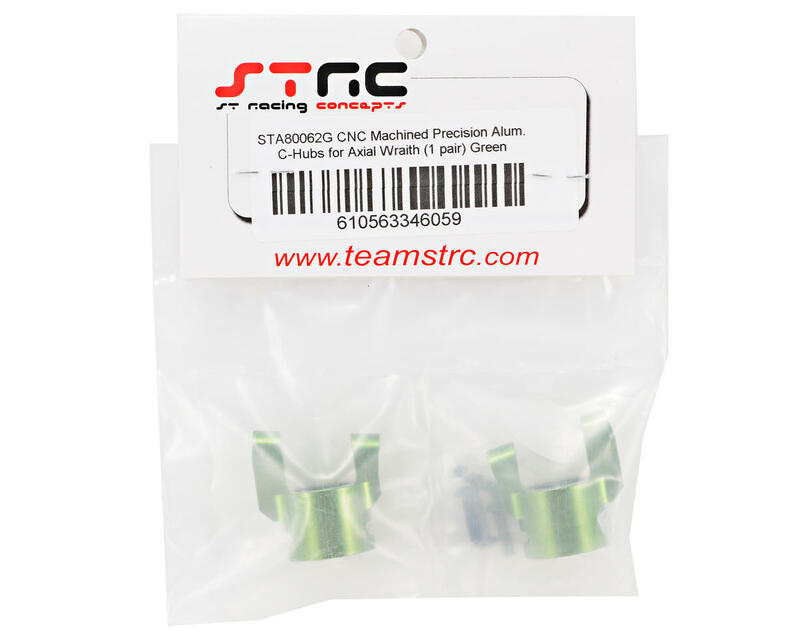 This is an optional ST Racing Concepts CNC Machined Precision Aluminum C-Hub Set, and is intended for use with the Axial Wraith. 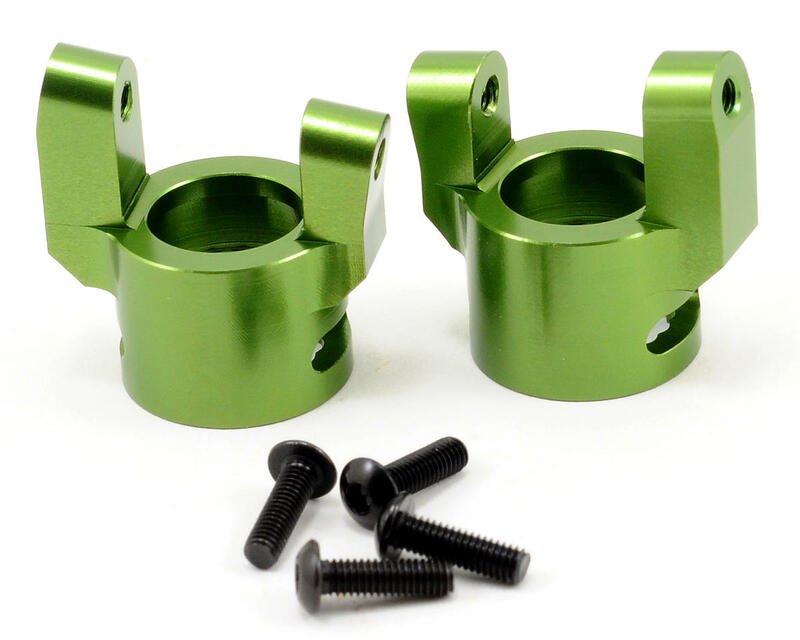 These CNC Machined Aluminum C-Hubs greatly improve the durability on your Axial Wraith, and improves the steering response by taking out any flex that is found with the stock plastic unit. The C-Hubs also have the same dimensions and adjustability as the stock plastic parts. Great looks, fits with stock and ST Racing Concepts knuckles, need loctite (blue) for screws. WAY TOO LOOSE ON AXIL HOUSING . CALLED ST RACING RACING MANY TIMES NO RESULTS..